Thank you for being a New Day Talk Radio Subscriber. We will keep you posted. 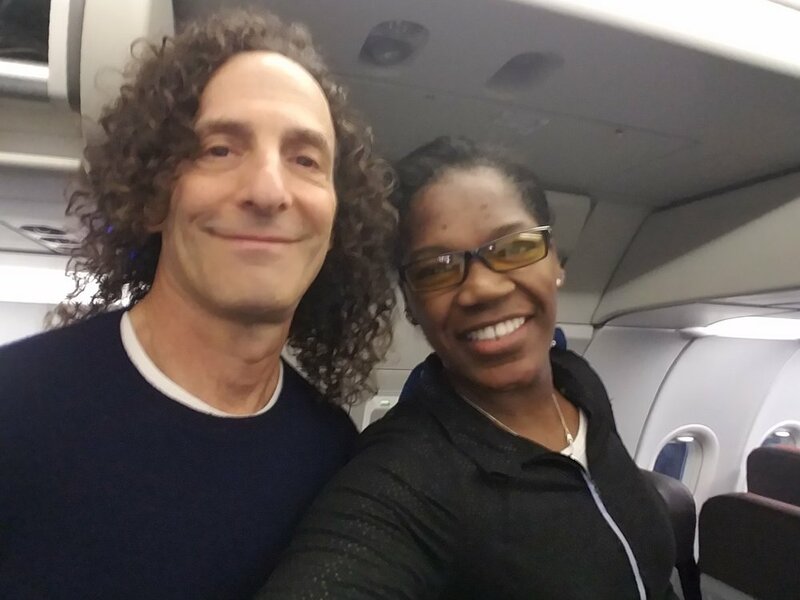 Kenny G and The Major - Kenny G is a legendary American Saxophonist a top jazz musician who has been around for a long time. His music is soulful. Video Service - Professional Editing, Pre-Production - Post-Production lynette@newdaytalkradio.com. We are filmmakers providing quality video service pre-production, production and post production. Dinner Talk is about inviting a variety of family and friends to gather around the table to enjoy a home cooked meal and meaningful conversation. We will have an occasional celebrity guest adding their point of view to the dinner talk. We discuss current events and controversial topics that are happening all around us. The faith-based NC film, Kandace Queen, will premiere at the Country Club Church of Christ in Fayetteville on Saturday, January 26th. Spring Lake resident, Lynette Jones stars in the short film which she wrote, directed, edited and produced. Jones hand-selected notable NC actors for her passion project including Fayetteville residents Justin Toyer and Shaun McMillan. Toyer is well known for his work at the Gilbert Theater while McMillan recently worked alongside the great Clint Eastwood in The Mule. Makeda Francisco,(Los Angeles) who appears in the film as Cleopatra, has been the backup singer for Tenna Marie as well as lead singer for the famous group, Rose Royce, best known for their renowned hit, Car Wash.
Internet Talk Radio - New Day Talk Radio and Media Center provides the professional platform and atmosphere for you to voice your thoughts and options. Let your voice be heard around the world. We are committed to providing quality and professionalism to our clients. We are all about finding solutions to problems and getting the job done. We are a certified small business (Micro) (SB) and a Disabled Veteran Owned Small Business (DVSB).